Friends fight. It happens. They move on. It's rare though that the friends represent royalty and music, as are Marceline and Princess Bubblegum from the Land of Ooo. 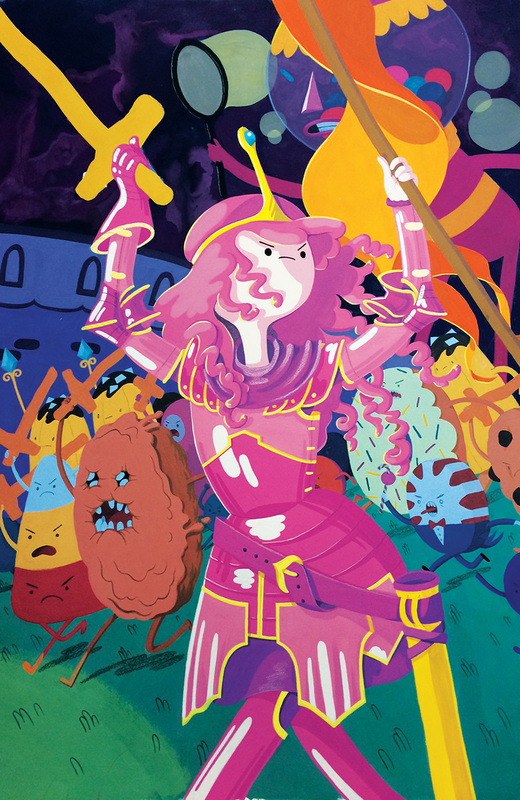 In Adventure Time: Marceline Gone Adrift #1, writer Meredith Gran and artist Carey Pietsch bring readers an all-new story featuring everyone’s favorite BFFs, Marceline the Vampire Queen and Princess Bubblegum. Adventure Time: Marceline Gone Adrift #1 arrives in comic shops on January 14th with a cover price of $3.99 under Diamond order code NOV141125. The issue ships with main covers by Reimena Yee and Mychal Amann, a retailer incentive cover by Britt Wilson, and a special BOOM! 10 Year Anniversary retailer incentive cover by Joe Quinones. The Final Order Cutoff deadline for retailers is December 15th. It’s natural for friends to fight, but what happens when you fling your friend into space?! 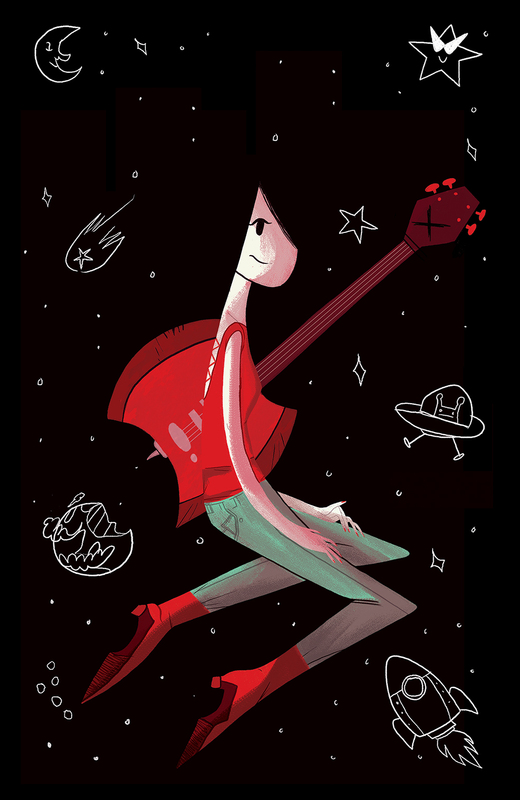 KaBOOM!, the award-winning all-ages imprint of publisher BOOM! 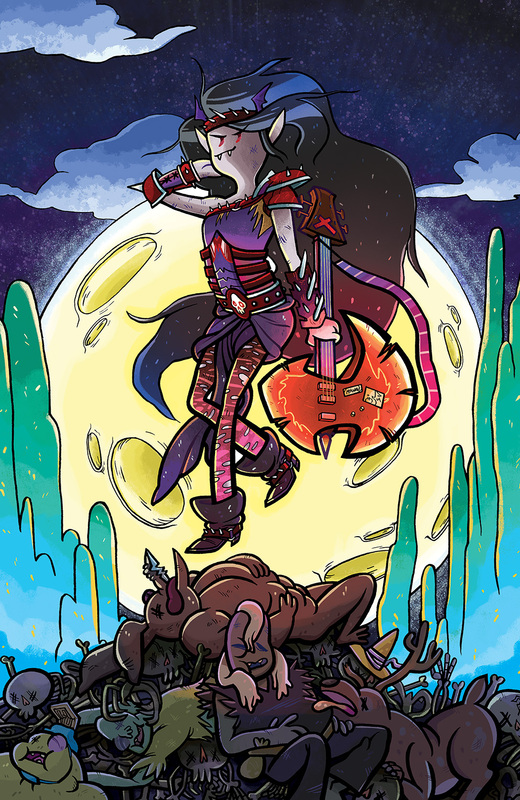 Studios, and Cartoon Network Enterprises, the licensing and merchandising arm of the network, are excited to announce the six-issue limited series Adventure Time: Marceline Gone Adrift coming this January. Following her first Adventure Time miniseries, Marceline and the Scream Queens writer Meredith Gran (Octopus Pie) returns to team up with artist Carey Pietsch (Bee and PuppyCat) and bring an all-new story featuring everyone’s favorite BFFs, Marceline the Vampire Queen and Princess Bubblegum. Adventure Time: Marceline Gone Adrift #1 arrives in comic shops on January 14th with a cover price of $3.99 under Diamond order code NOV141125. The issue ships with main covers by Reimena Yee and Mychal Amann, a retailer incentive cover by Britt Wilson, and a special BOOM! 10 Year Anniversary retailer incentive cover by Joe Quinones. The Final Order Cutoff deadline for retailers is December 15th. Not sure where to find your nearest comic retailer? Use comicshoplocator.com or findacomicshop.com to find one! It’s also available for order directly from boom-studios.com.